Dynamic Africa, a platform that focuses on the popular culture and visual aesthetics of contemporary Africanness, has recently reblogged on its Tumblr account a photostory by Jérémy Barniaud on black male fashion. 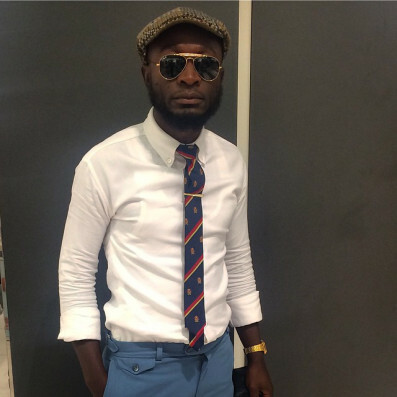 No garment openly invokes ‘traditional’ African items, but the creative syncretism that fuses past and present sartorial languages recalls the hipster aesthetics of acclaimed street style icons from the continents, like Loux the Vintage Guru and The Sartists. 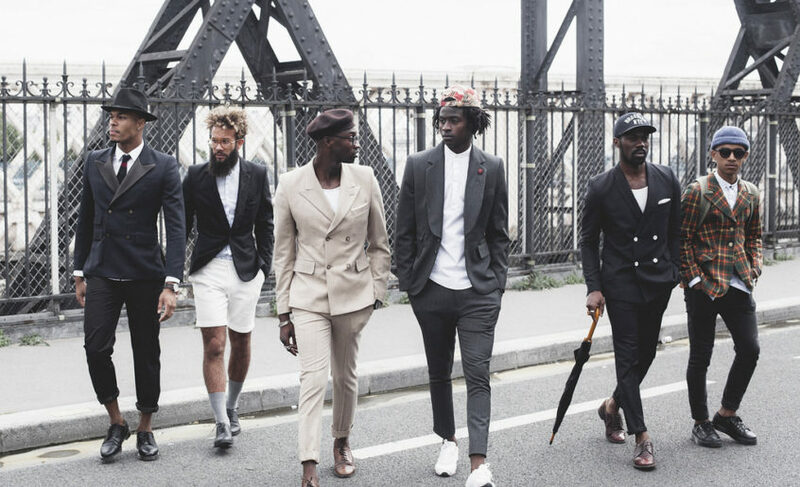 The images capture a group of eleven young men as they aim about the metropolitan outdoors dressed in a style that mixes informal elements like shorts, baseball caps, beanies, and sneakers with items of more casual attire — double-breasted jackets, waistcoats, skinny ties and fedoras. 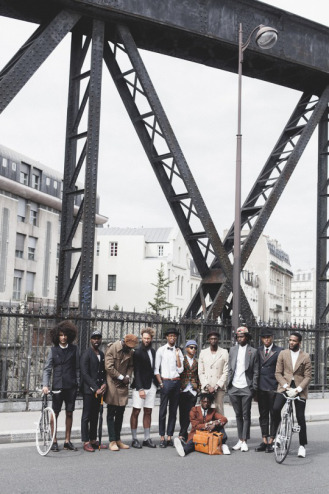 The laid-back, self-assured poses of the models, the urban environment, and the actual costuming express the cosmopolitan aesthetics of blackness described by Jon Caramanica in an article from 2011: “young black men taking ownership not just of the body and what goes on it, but also of the environment it moves in”. 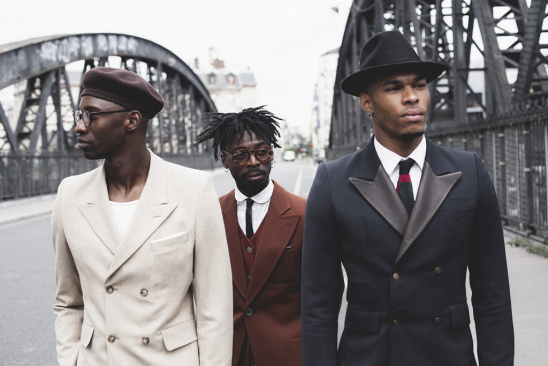 Like the protagonists of Caramanica’s account, the duo behind Street Etiquette (the style blog), Barniaud’s work employs fashion to tell a story, specifically, it seems, one that represents black men taking possession of the streets, one of the most contested sites of expression and survival of Afro-diasporic communities. Out in the open, these youths discard the ‘hood’, a means of self-preservation and, at the same time, a signifier of threat and aggressiveness, for playful (and harmless) flat caps, berets, and trilby hats. They do not lay about aimlessly, but proactively occupy the street that becomes the backdrop of friendly and carefree exchanges, of commuting (the umbrella and leather duffel), and of sport activities like cycling. Indeed, even the sneakers worn by some of the models hint not at the need for speed of a youth caught in a cat-and-mouse dynamics with cops and enemies of the underworld, but suggest ambition, a desire of social improvement, and a positive dedication to the self. When the Black middle class had a lesser role within African American self-definition, traits of underclass life were misconstructed as elements of Blackness itself. Baggy jeans with one ankle pulled up isn’t black; it just means oyu got your fashion sense from jail. […] It’s a dangerous misunderstanding: If you mistake the traits of poverty for your personal identity, you risk being locked into a position where you’re unable to advance without betraying yourself. Is this what blipsterism is about? I have to think about it. Maybe even consider adding a chapter to The Book on this. Mat Johnson, “The Geek”, in Rebecca Walker (ed. ), Black Cool: One Thousand Streams of Blackness (Berkley: Soft Skull Press, 2012), pp. 11-18.